I’m sure no child can resist collecting pocketfuls of leaves, acorns, conkers and pine cones at this time of year. My 3 year old can’t help herself and our nature table is overflowing with treasures. 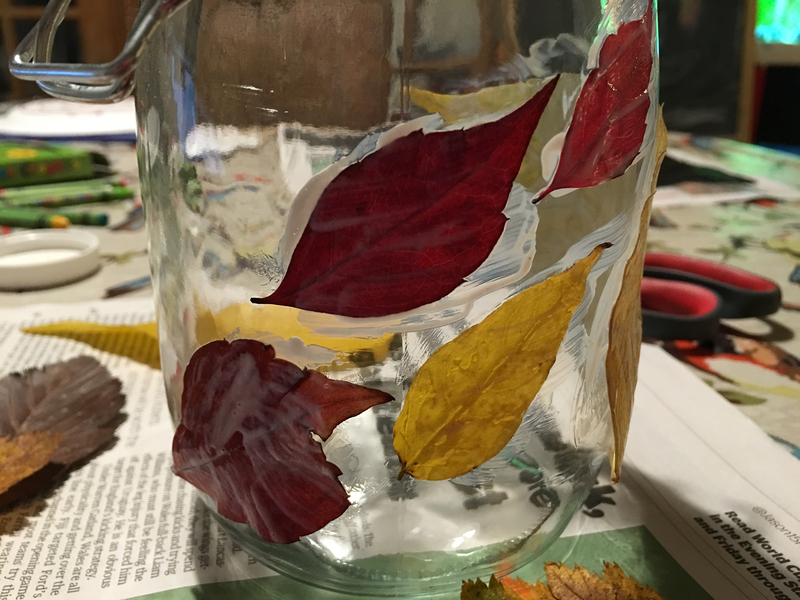 She really wanted to craft with some of them so we made a pretty Autumnal leaf luminary. 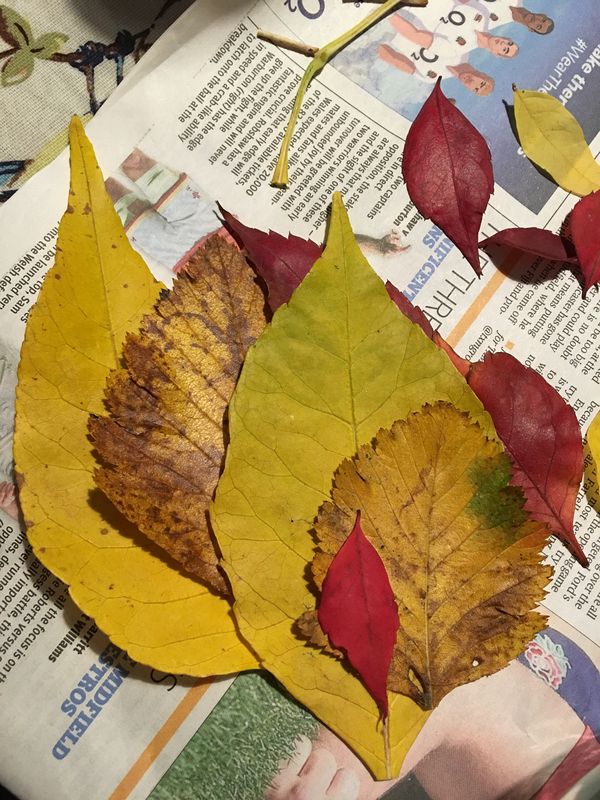 Choose a selection of leaves, smaller ones work best. Remove the stems from larger leaves as they are difficult to stick down. 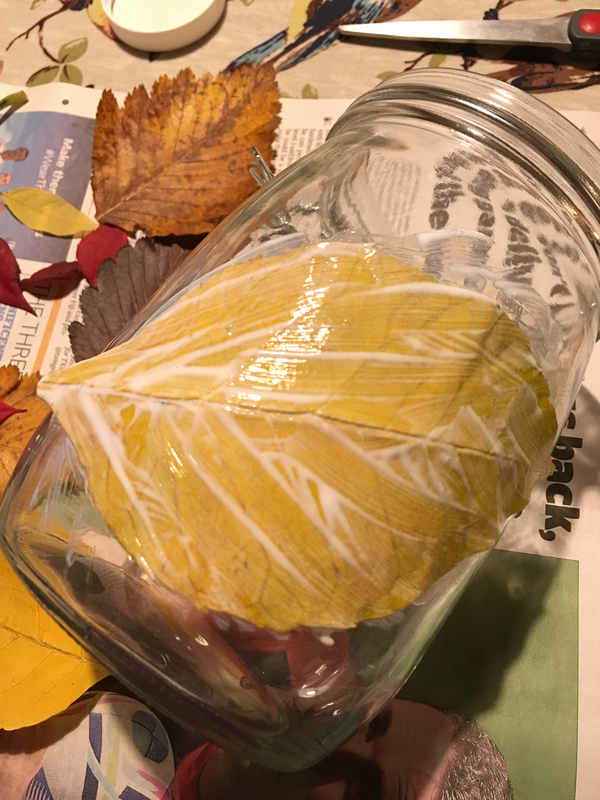 Take an empty glass jar (make sure the label is removed) and cover with Mod Podge. Carefully place your leaves on top. Cover with another coat of Mod Podge and leave to dry. 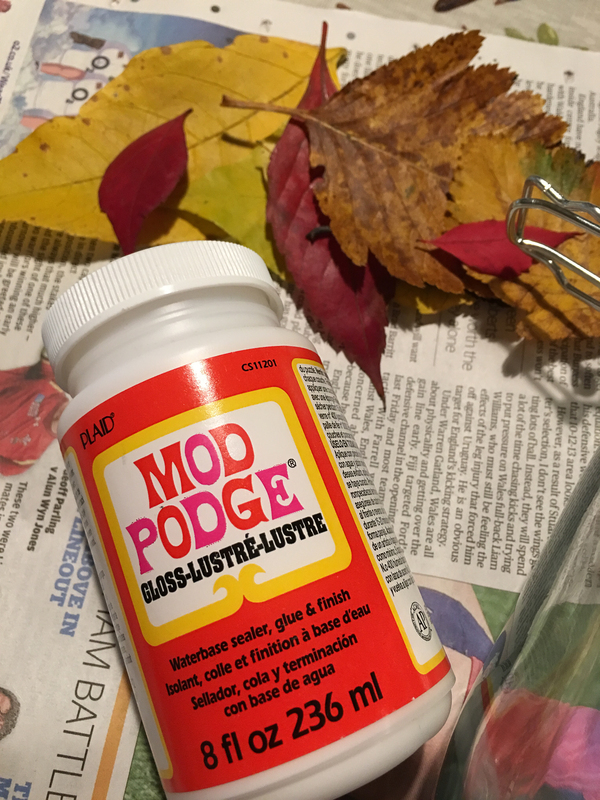 The Mod Podge dries clear so you are left with an impressive jar. They look great if you leave on a window and let the Autumn sun shine through the leaves. 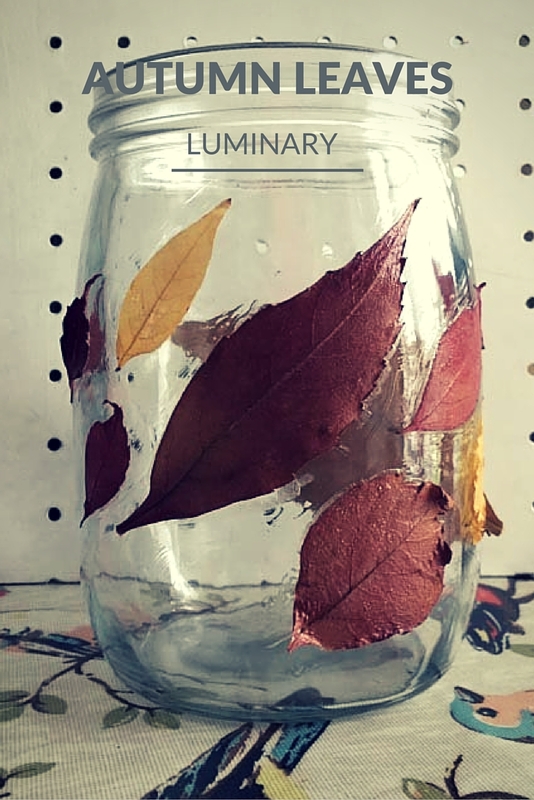 At night you can place an LED light inside to make a pretty Autumn luminary. Lovely, thanks for sharing on craft schooling Sunday! Bet you were a bit surprised to see to many contributors, me too, don’t know how that happened!